The testing of programs in wireless sensor networks (WSN) is an important means to assure quality but is a challenging process. As pervasive computing has been identified as a notable trend in computing, investigations on effective software testing techniques for WSN are essential. In particular, energy is a crucial and scarce resource in WSN nodes. Programs running correctly but failing to meet the energy constraints may still be problematic. As such, testing techniques for power-aware applications are useful; otherwise, the quickly depleted device batteries will need frequent replacements, hence challenging the effectiveness of automation. Since current testing techniques do not consider the issue of energy constraints, their automation in the WSN domain warrants further investigation. 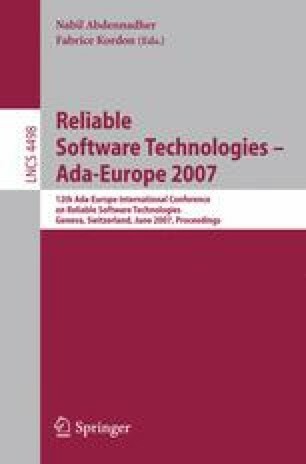 This paper proposes a novel power-aware technique built on top of the notion of metamorphic testing to alleviate both the test oracle issue and the power-awareness issue. It tests the functions of programs in WSN nodes that are in close proximity, and uses the data consolidation criteria of data aggregation in programs as the basis for verifying test results. The power-aware transmissions of intermediate and final test data as well as the computation required for verification of test results are directly supported by the WSN programs. Our proposed technique has been strategically designed to blend in with the special features of the WSN environment. This work is supported in part by a grant of the Innovation and Technology Commission in Hong Kong (Project No. ITS/076/06), a grant of City University of Hong Kong (Project No. 7200079), a discovery grant of the Australian Research Council (Project No. DP0771733), and CERG grants of the Research Grants Council of Hong Kong (Project Nos. 612306 and 717506).